A Powerful Software that Enhance, Repair&Protect the performance of your Computer. It prevents your PC from crashing, annoying error messages and protects privacy. Has ability to Scan&Fix Registry Errors, Clean Tracks and Internet Activities. A powerful software that Enhance, Repair&Protect the performance of your Computer. It not only prevents your PC from crashing and annoying error messages but also helps in protecting privacy. The software has the ability to Scan&Fix Registry Errors, Clean Tracks and Internet Activities, Shred Unwanted Files, Manage System Startup&Safely Uninstall any Unwanted Software. 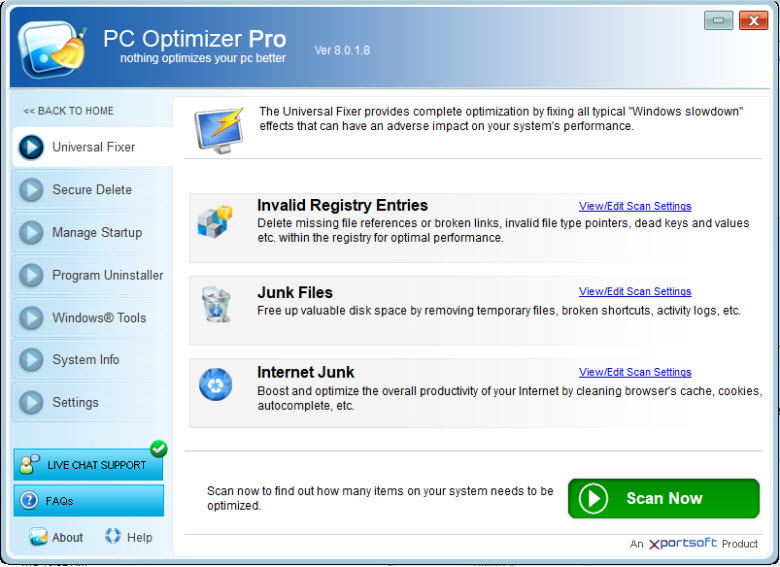 The highly rated Registry Optimizer of the utility uses Advance Technology to Scan&Fix Registry Errors that are very common cause of system crashing and unwanted error messages. Thus, it boosts the Speed&Performance of your PC. Its Tracks Eraser does a thorough scanning of your PC to help you Protect your Privacy by cleaning all unwanted hidden personal info that stays on your PC without your knowledge. Its File Shredder makes it easy to securely and permanently delete unwanted files so that no one can ever recover them using any software. The Uninstaller of the software helps you safely remove any unwanted software, and Its System Info lets you know everything about software and hardware installed on your PC.